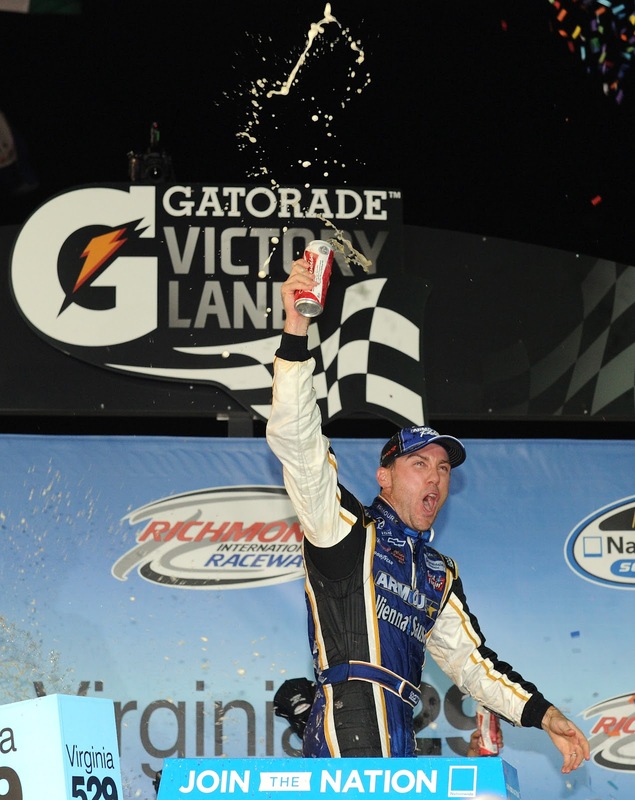 RCR rocked Richmond this weekend with the Nationwide teams placing four teams in the top twelve including Kevin Harvick's win. 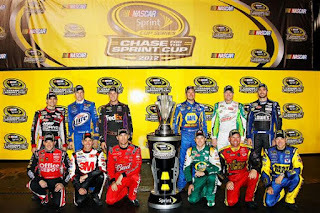 In Sprint Cup racing, Harvick clinched his Chase spot and both he and Jeff Burton brought home top-10 finishes. 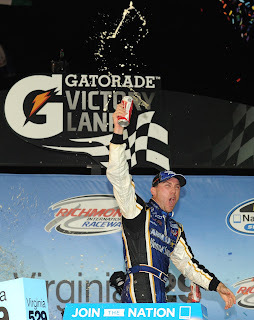 If anyone thought Kevin Harvick was over last week's loss at Atlanta that notion was put to rest as he emphatically tossed a water bottle out the window of the No. 33 Armour Vienna Sausages Chevrolet while doing his celebratory doughnuts. He led the most laps in the Virginia 259 College Savings 250 and earned his first victory of the season. Austin Dillon continues to lead the Sunoco Rookie of the Year race with a solid sixth place finish. Younger brother Ty Dillon made his third career NNS start and earned his third top-ten finish. While fighting for second place, Elliott Sadler lost control of the No. 2 OneMain Financial Chevy and hit the wall. He fought back to finish 12th and hangs on to the points lead by a single point over Ricky Stenhouse Jr.
Before the race I said I think it's time for Jeff Burton to hang up his helmet and retire. Then he goes out and runs up front all night long, looking for all the world like a legitimate contender for the win. Then Clint Bowyer, his former RCR teammate, flew by and everyone else was fighting for second. Burton's sixth-place finish doesn't convince me, as much as I love him, that he shouldn't consider his career options - after all, this was only his fifth top ten and he only led 35 laps and had just 12 lead-lap finishes so far this year. I hope the No. 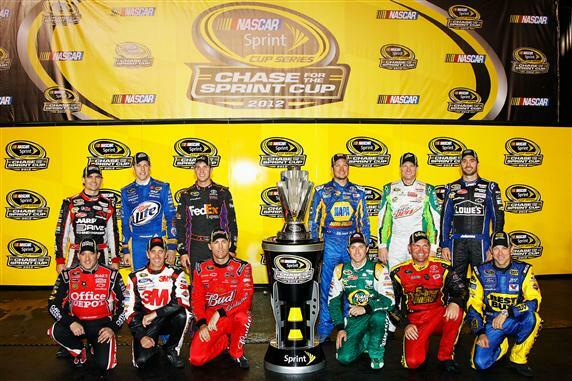 31 team uses the 10 races of the Chase to regroup and prove me wrong. Though Kevin Harvick's Sprint Cup performance didn't match his Nationwide results for the weekend, he did actually run better than his 10th-place finish showed. The No. 29 ran as high as fourth late in the race and while Harvick still complained of handling issues, he seemed to have more confidence in Gil Martin's abilities to adjust on them. Is Harvick peaking at the right time? He's one of only two drivers in the Chase lacking a win, but with his performance this weekend it could be just a matter of time before he scores his 19th career Cup win. The No. 27 team began the night with a substitute crew chief. While RCR is appealing the suspension of car chief Craig Smokstad and engineer Grant Hutchens, they began the suspension of Slugger Labbe this weekend. Paul Menard worked with Shane Wilson to adjust the No. 27 Moen/Menards Chevy, but the handling issues that have plagued all the RCR Cup teams this season just didn't respond well enough to allow Menard to get anywhere near the front of the field.